If you are as obsessed with the delectable cheddar bay biscuits at Red Lobster as I am, then get ready to do your happy dance. 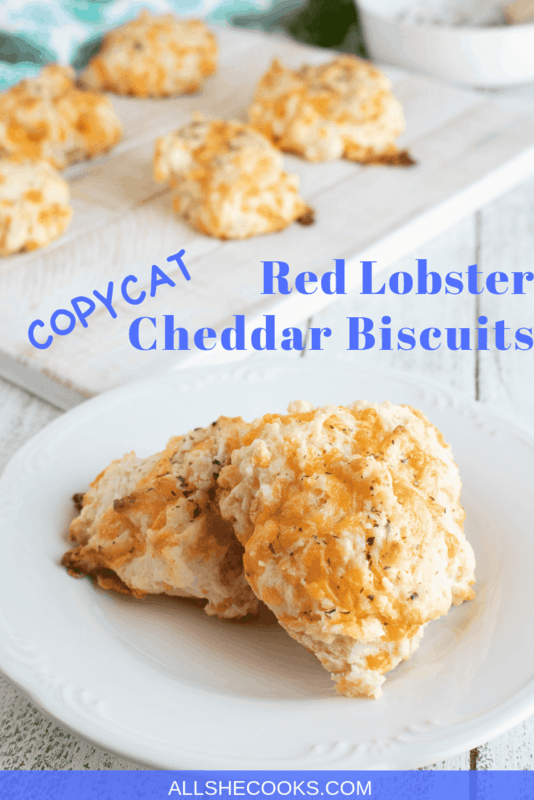 These Red Lobster Copycat Cheddar Biscuits taste just as amazing as the originals! Maybe even more. Plus they are so easy and simple to make, you can indulge your craving for these flaky, fluffy cheesy biscuits whenever the mood strikes. Which in my house, is a little too often. 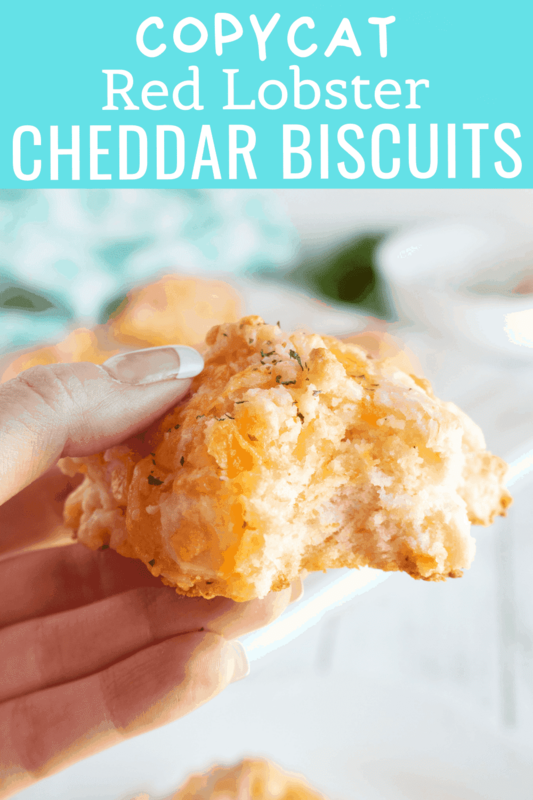 Red Lobster Copycat Cheddar Biscuits is a one-bowl drop biscuit recipe that is ready in less than 30 minutes. Which means no waiting around for the dough to rise. And there is no kneading required. Just mix the ingredients, form the biscuits, and bake. So easy! Step #1: Preheat the oven to 425 degrees. 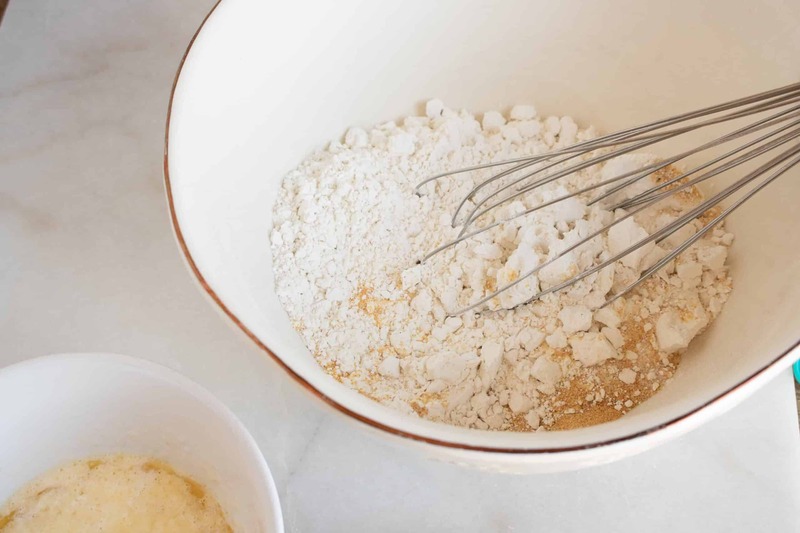 Step #2: Mix together the flour, sugar, garlic powder and salt in a large bowl. Step #3: Melt the ½ cup butter in a microwave-safe bowl. Then mix in the milk. Step #4: Pour the butter/milk mixture into the dry ingredients. Step #5: Next, fold the cheese into the biscuit dough. 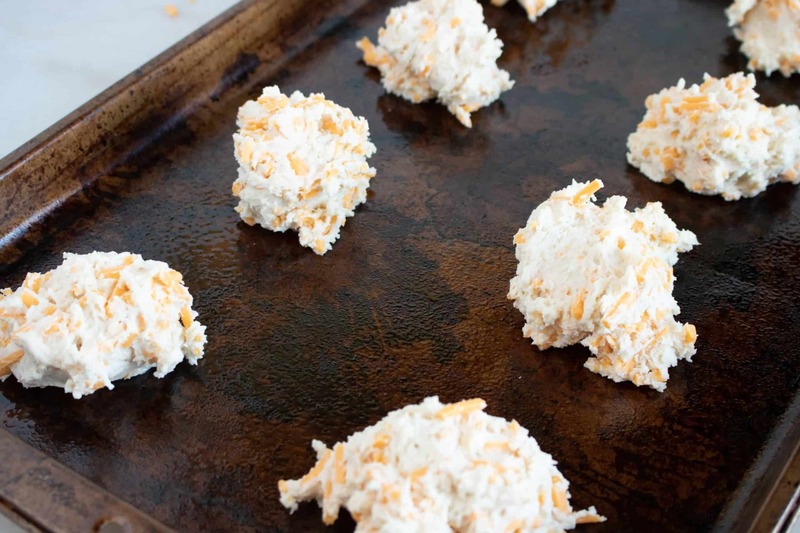 Step #6: Drop 1/3-1/2 cup biscuits onto a baking sheet that has either been sprayed with nonstick cooking spray or is lined with parchment paper or a Silpat cooking mat. Step #7: Bake for 10-12 minutes. Step #8: Mix together ¼ cup melted butter with parsley and then brush the parsley butter over the top of the biscuits. 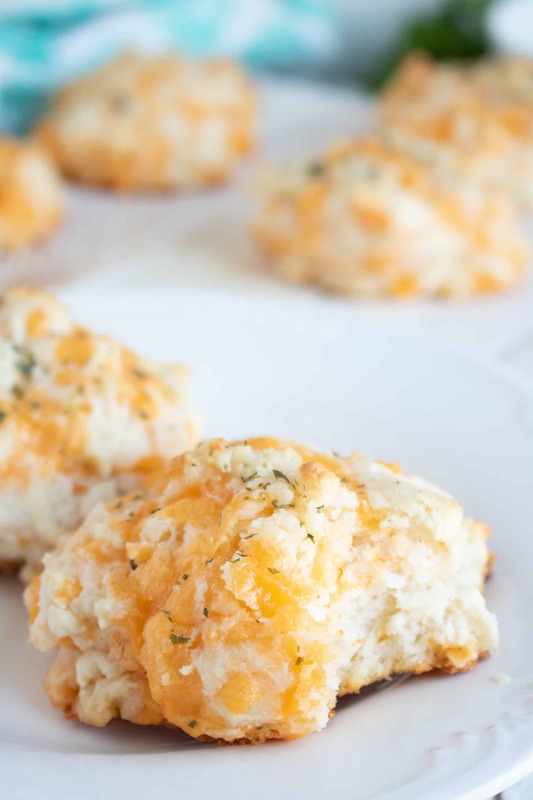 Love this recipe for Red Lobster Copycat Cheddar Biscuits? Try this one for Copycat Macaroni Grill Rosemary Bread. Or this recipe for Copycat Restaurant Breadsticks. You may be detecting a theme here…and yes, I have a thing for restaurant breads. Interested in even more copycat recipes? Then you’ll want to check out my list of 20 Must-Try Copycat Recipes! Mix the flour, sugar, garlic powder and salt in a large bowl. 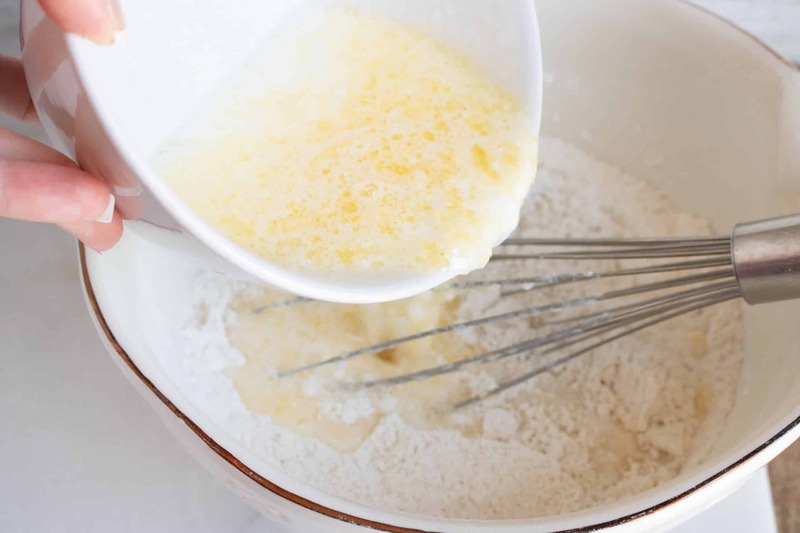 Melt the ½ cup butter in a microwave-safe bowl. Mix in milk. Pour the butter/milk mixture into the dry ingredients. 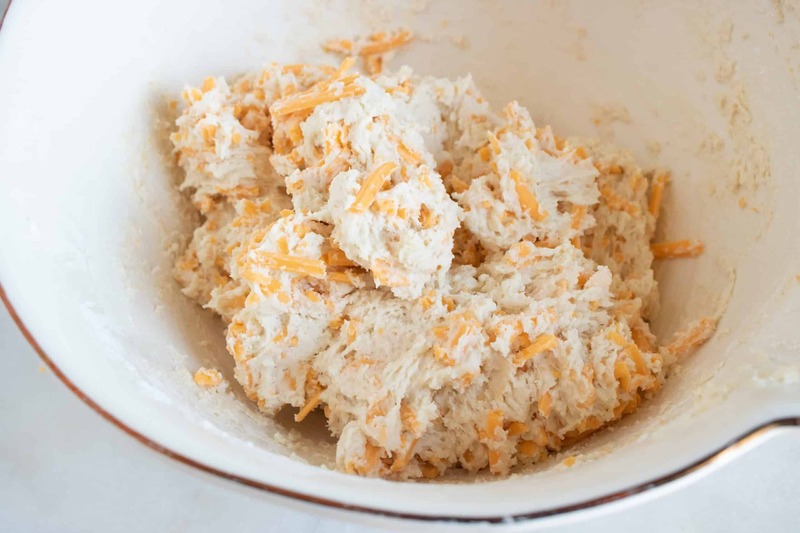 Fold the cheese into the biscuit dough. 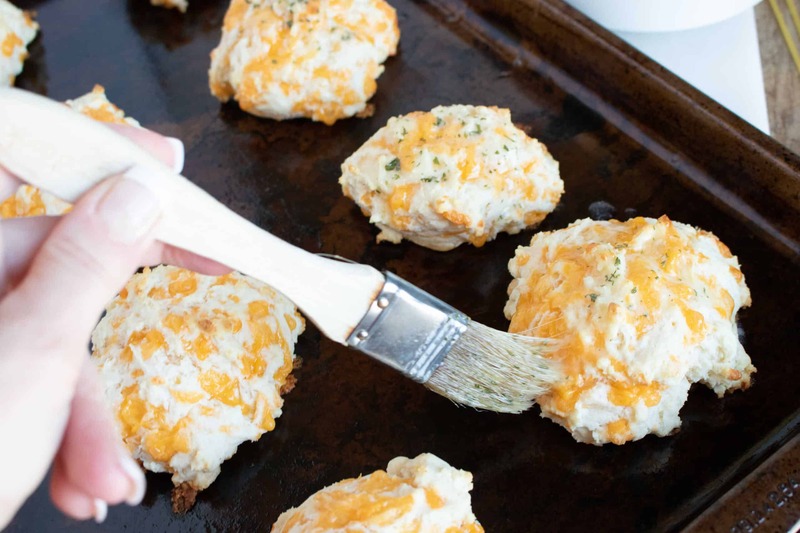 Drop 1/3 - 1/2 cup size biscuits onto a baking sheet that has either been sprayed with nonstick cooking spray or is lined with parchment paper or a Silpat cooking mat. Remove from oven and mix together ¼ cup melted butter with parsley and brush the parsley butter over the top of the biscuits.